The Chinese smartphone company, Oppo is successful with smartphone manufacture and other electronics like MP3 players, media players, LCD-TVs and DVD players. Oppo has launched its new smartphone, A37 in China with 4G support. The mobile flaunts attractive specs for its price. 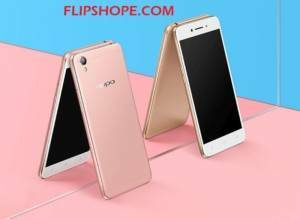 Oppo A37 is priced at CNY 1299 (roughly Rs. 13,300) and is available for purchase via Oppo’s offline store in China. There is no information about the availability of the mobile outside China. A37 features a 5 inch HD display and is powered by an octa-core MediaTek MT6750 processor clocked at 1.5GHz paired with 2GB of RAM and 16GB of storage. The mobile also features an 8 MP rear camera and 5 MP front camera. It runs on ColorOS 3.0 based on Android Lollipop. The connectivity specs include GPRS/ EDGE, 3G, 4G, Bluetooth, NFC, Wi-Fi, GPS/ A-GPS, USB-OTG, and Micro-USB. Oppo A37 is backed by a battery power 2630 mAh and will be available in Gold, Grey and Rose Gold colors. Front camera : 5 MP with 1/4″ sensor and f/2.4 aperture. Display F1 features a 5.0 inch IPS LCD HD display. Oppo A37 sports a 5 inch IPS LCD HD display. Technical specification F1 is powered by 1.2GHz octa-core Qualcomm Snapdragon 616 processor with 3 GB RAM. A37 is powered by octa-core MediaTek MT6750 processor clocked at 1.5GHz with 2 GB RAM. Connectivity specs WiFi, Bluetooth, GPS/ A-GPS, USB/ Micro USB, USB Host GPRS/ EDGE, 3G, 4G, Bluetooth, NFC, Wi-Fi, GPS/ A-GPS, USB-OTG, and Micro-USB.